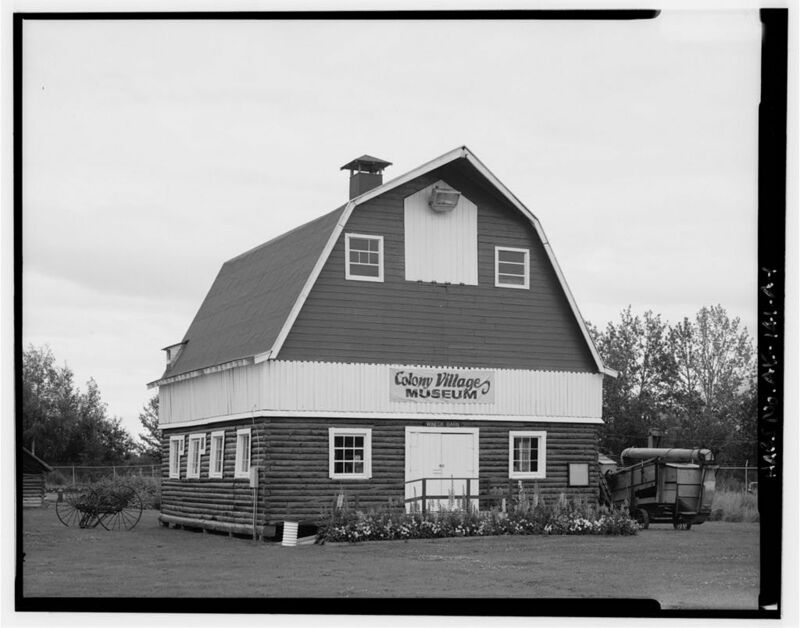 The large double barn at the Museum of Alaska Transportation and Industry (MATI) is known locally as the Breeden barn, but it was actually created from two separate Colony barns by an early Valley homesteader named Frank Linn, whose son Allan grew up to be the State Director of Agriculture from 1975 to 1979. Frank Linn came to Alaska in 1927 and spent three years working at the Matanuska Experiment Station. 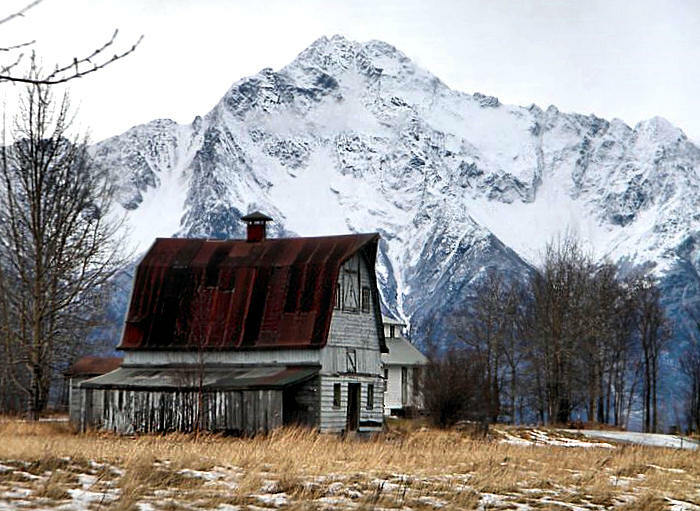 In 1928 he purchased 160 prime acres on the southern border of the Station, on a bluff with a commanding view of Pioneer Peak and the Chugach Mountains. In 1935 he sold his land to the Alaska Rural Rehabilitation Corporation (ARRC) for $5.09 an acre. Colonist Amedee Wilson won the choice tract in the original drawing, but in 1937 Amedee, his wife Leah, and their four children left Alaska. Frank and Vera Linn acquired the tract again in 1938, and in 1941 they added the neighboring tract, which had been won by Emil Larsh. 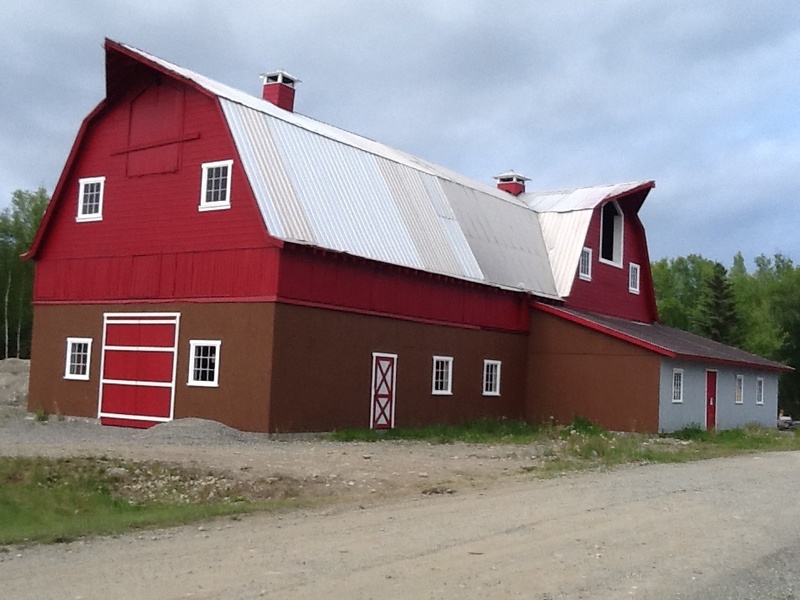 The Linn family developed a dairy farm, and in 1943 they moved the Larsh barn adjacent to the Wilson barn at a right angle, creating the immense 85-foot-long by 28-foot-wide structure. 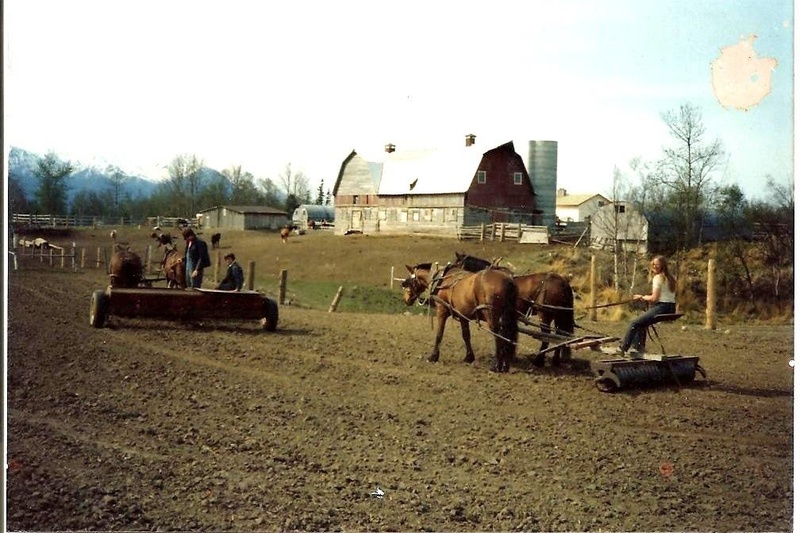 In 1957, Anchorage dairy farmers Don and LaVera Breeden purchased the Linn dairy and in 1958 they moved their operation to the Matanuska Valley. 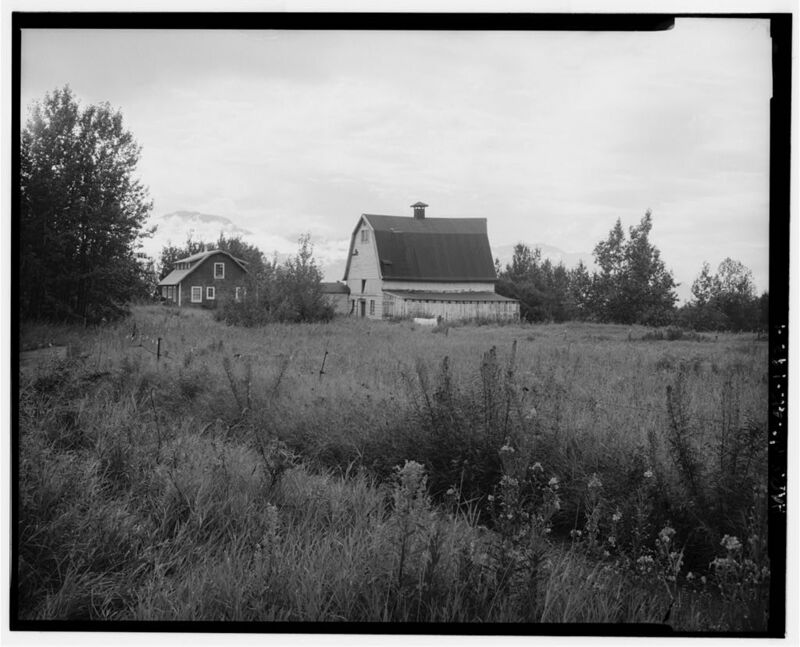 The dairy farm eventually changed into a vegetable farm, then became the Matanuska Riding Stables and Guest Ranch, and in later years the Matanuska Lake RV Park. 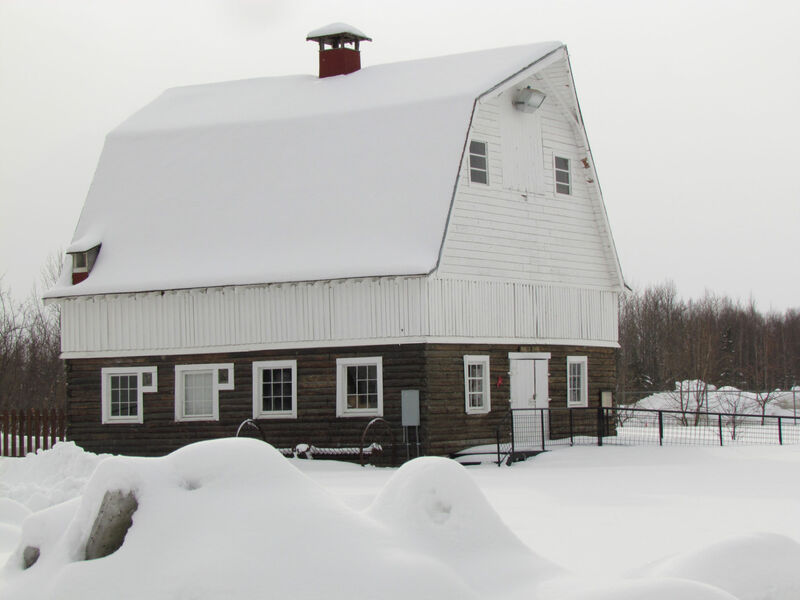 In 2006 the Breeden family donated the barn to the Museum of Alaska Transportation and Industry, and after all the permits, clearances, and other paperwork was in place, in the early morning hours of August 26, 2007, the giant structure was loaded onto a flatbed truck and moved to its new home. There is a wonderful photo by Robert DeBerry of the barn being moved through Wasilla at the Frontiersman web site.